Gamestop reported lower-than-expected sales of new software for its third quarter of the year, but its digital business continues to grow by leaps and bounds. Okay gang, let's all take a minute to feel bad for GameStop, which reported total sales for the third quarter of 2011 of $1.95 billion, just a 2.5 percent increase over the $1.90 billion reported over the same period last year. Comparable store sales were actually down 0.6 percent, mainly as a result of lower-than-expected new software sales. Digital sales continue to boom, however, jumping 51 percent for the PC market and 63 percent for consoles. Preowned game sales were up by 3.1 percent, while new sales increased 4.8 percent. The top selling games for the quarter were Gears of War 3, Battlefield 3, Madden NFL 12, Batman: Arkham City and Dead Island. 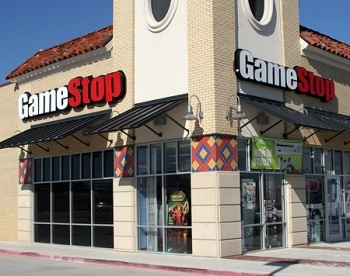 "In the third quarter, GameStop outperformed the market and continued to execute against the long-term strategic plan through additional investments in digital and emerging businesses," GameStop CEO Paul Raines said. "As we begin the fourth quarter, the strong sell-through of November new title releases indicates a good start to the holiday season." And that's that for what is surely the hottest news of the day. What's it all mean? Digital is the future but retail remains relevant, and you can't read too much into a flat third quarter with a top-five lineup like that. The holiday quarter, which will include Modern Warfare 3, Skyrim and Assassin's Creed: Revelations, will be a far more telling and presumably upbeat indicator of the company's fortunes. Stay tuned for the next exciting update!